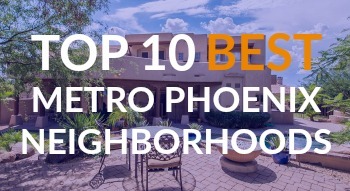 The North Gateway community is an urban development that extends for about 44 square miles between Phoenix and Anthem and remains connected to the greater Phoenix area via Interstate 17 and Carefree Highway.. This highly coveted slice of Sonoran desert is well-known for its' miles of well-marked trails in Deem Hills and the Phoenix Sonoran Desert Preserve and is perfect for hikers and bikers of all skill levels. The peaks and mountains on the preserve — home to desert hares, owls and hawks — afford amazing views of the valley below. Tramonto Park is in the heart of North Gateway and boasts 12 acres of green space, an amphitheater, a basketball court, exercise stations and a playground. Area residents are also only minutes away from Lake Pleasant, where many locals love to enjoy our beautiful weather hiking, boating, camping, and fishing. Tramonto Marketplace is an incredible open-aired shopping center and its' surrounding streets serve as a full shopping and dining hub for the entire neighborhood. People seek out the North Gateway neighborhoods because they have that true community feel. This area is an ideal place to raise a family, close enough to the excitement of the Phoenix metropolitan area but just far enough away to enjoy the peace and serenity of this desert landscape. 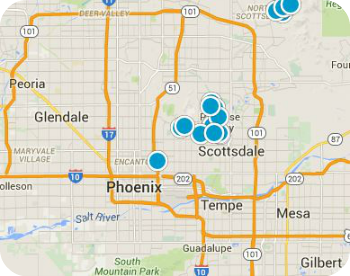 Buying or selling a home in the North Gateway neighborhood of Phoenix AZ? We have the complete MLS inventory of North Gateway homes for sale. Sign up for new listing alerts and be the first to see the latest North Gateway homes as soon as the hit the market. Wonder what your home is worth? Contact us directly 480-455-2578.
the home buying process or preparing your home for sale.